Character - Scavenger - Sith. Points: 12/16. Health: 11. 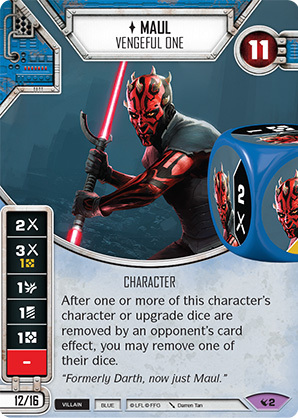 After one or more of this character's character or upgrade dice are removed by an opponent's card effect, you may remove one of their dice.